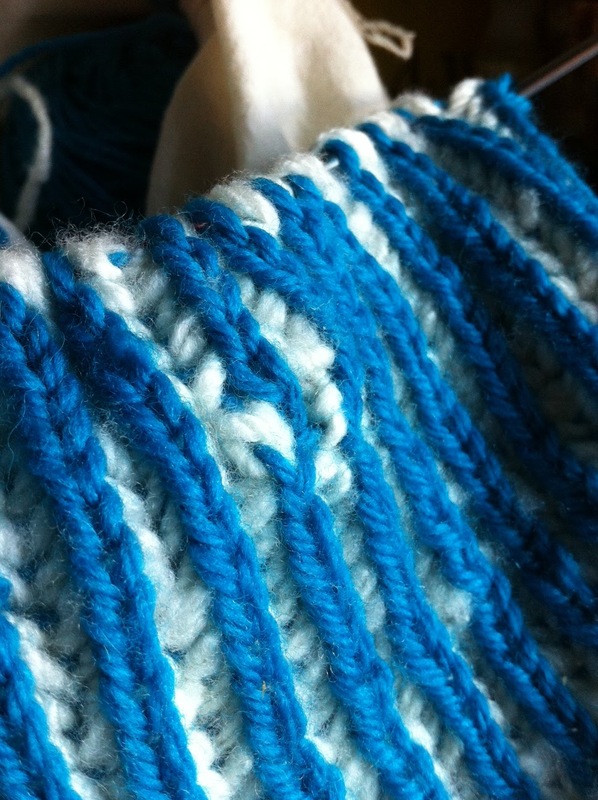 ive read several people on ravelry have experienced trouble with the decreases. i cast on 62 stitches for the hat to begin with, so now i have an awkward number of stitches to decrease. i think i will split it 15-15-15-17. we’ll see!! 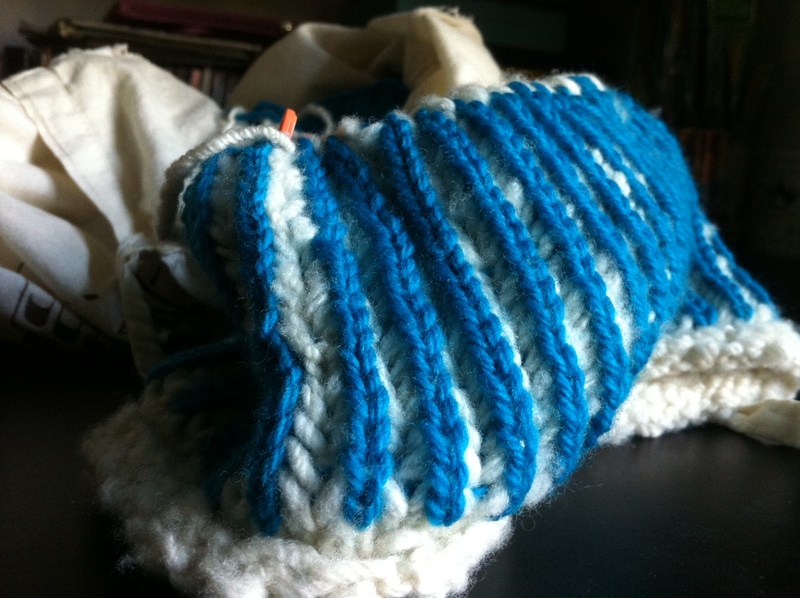 first up is a trilobite hat made with cascade 220 .
this was a fun, easy pattern to follow. i had never used a chart before in knitting, and its pretty easy– especially if you have the pattern printed out (right now im working on something and i keep forgetting to print it– annoying to have to stay by the computer to read it). it turned out a little snug, but i sent it to my sister for her birthday and she said she likes it.. i haven’t seen it on her yet to verify. next up is wurm (pdf). this hat turned out a lot bigger than i wanted. i’ve had the ‘hat too small’ problem several times in the past, so i opted to make the largest size for this. it turned out like a rasta hat, which may or may not be a good thing. the brim was something i haven’t done before: it is double-thick. it was easy, and definitely worth the extra (slight) effort of doing double the knitting and then matching up the fold-over to keep knitting. i’ve got two more yarn projects in the works, but they are presents for christmas (HOPEFULLY), so i’ll share them after they have been delivered.